We live in a world filled with confusion and conflict, fear and worry. Not only do we face global conflict but personal crisis as human solutions run thin. Real spirituality, community, stability have become hopes yet to be realized as people seek answers where few are found. It is within this matrix of meaninglessness and hopelessness that an answer is found. We believe we have found the answer to the angst in the human heart – and we hope to share it with all who are seeking. God is truly love and he has demonstrated his love to us – in the person and passion of Jesus of Nazareth. It is Christ who has reconciled the world to himself and given us this message of reconciliation. 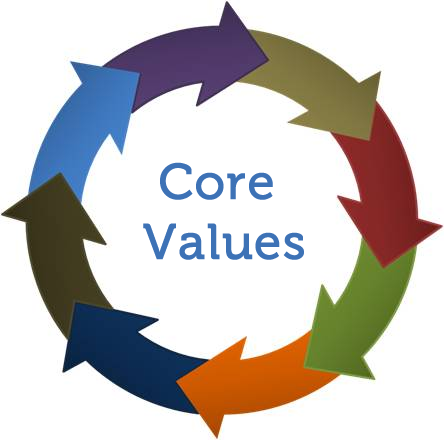 Please review our core values and consider partnering together to impact our world as we build bridges of hope to our communities and the nations! If we are to see a spiritual renewal and a return to our ancient heritage, we must first return to God. Though there is much religious activity in America, our culture is nevertheless turning from the God of the Bible. We are quickly forgetting our Judeo-Christian roots as we turn to other religions, philosophies and ideologies for answers. In the Book of Joel, the prophet declared, “Return to me with all your heart…and rend your hearts and not your garments. Return to the Lord, your God, for he is gracious and merciful, slow to anger, and abounding in steadfast love” (Joel 2:12-13). As a community, we want to return to God with our whole heart as we pray and seek God for spiritual renewal in the church and our nation. Unfortunately, religion and rejoicing do not often go together in the average person’s mind. Too many have experienced religion, rules and ritual and not the reality of a relationship with God. Jesus came to give us reality – the reality of a dynamic and joyful relationship with God. He himself even rejoiced that God had revealed these truths to his disciples (Luke 10:21). It was for this reason, that under Mosaic Law, God commanded his people to gather for times of rejoicing. Imagine that, God commands us to rejoice! Therefore, it is with this in mind that we make worship our highest priority. It is why we gather each Sunday. It is why we celebrate biblical feasts throughout the year. Together, these are times of expressing our love for God as the natural response of His love for us (1 John 4:19). Worship is Heaven’s window for renewing our ancient heritage! One of the greatest achievements of the early church was its EPIC vision, that is, Every Person Involved Corporately! They understood that “to each person was given a spiritual gift for the building up of the body of Christ” (1 Corinthians 12:7). They knew that Jesus “ascended on high… and gave gifts to men” (Ephesians 4:8) and were therefore committed to helping believers both discover and release their spiritual gifts. They really did “equip the saints for the work of ministry” (Ephesians 4:12) and as a result created a church that changed lives and transformed nations. Too often today we equip only professionals but not ordinary people. As a result, the church has become more of a monument dotting the landscape than a movement impacting the world. It is the hope of New Heritage Community to be a force for such renewal in our day! Since the 1960’s American culture has undergone a major shift as cultural forces have sought to redefine our way of life. One of the institutions that have come under the greatest attack is the family. Once defined by Judeo-Christian values, the family has been increasingly re-defined by ideologies that are hostile to our biblical heritage. As a community, we want to reaffirm the foundation of family life and support families in their pursuit to live according to biblical values. In our fast-paced, highly mobile and high-tech society, we have to a great extent lost our sense of community. Neighbors rarely know neighbors and increasingly church members do not know other church members. We have become progressively autonomous, individualistic and alienated from one another. We have come a long way from the grand vision of the early church community where they were “all together and had all things in common” (Acts 2:44), sharing life “day to day” and “breaking bread from house to house” (Acts 2:46). As a church community, we want to recover and restore a way of life that prioritizes relationships, mutual care and community. Unknown to many Christians, the greatest schism in salvation-history was not between Roman Catholics and Eastern Orthodox or even Catholics and Protestants but between Jewish Christianity and Gentile Christianity. As early as the second and third centuries AD, Jewish Christians were marginalized from the gentile church and eventually disappeared by the fifth century. Subsequently, Jews who became believers renounced their Jewish heritage and assimilated into a de-Judaized church. As a result, the Christian faith lost much of its Hebraic heritage as it distanced itself from its Jewish roots. New Heritage Community seeks to affirm its Jewish roots and the unity of Jewish & Gentile believers towards the restoration of the “one new man” in Messiah Yeshua (Ephesians 2:15). Unless we raise up the next generation, we will not have an “ancient heritage” to renew. Sociologists have dubbed the generation following the Baby Boomers as Generation “X,” who are now in their thirties and forties. Many are now taking on leadership in the church. However, there is another generation in view, now in their teens and twenties, which many believe will have an even greater impact on our culture and world. We call them Generation “Y” because they will be the generation that will say “yes” to all that the Lord has commanded, fulfilling the Great Commission and ushering in the return of the Lord. As a community, we are committed to raising up this generation and passing on the baton, that they may accomplish the purpose of God in their generation! We live in times of rapid change. Many believe we are in the process of a cultural shift – from the modern to the postmodern era. To a great extent, this is a generation that has rejected the Church as having any relevancy or relate-ability and are seeking answers to life’s meaning elsewhere. As a community, we seek to be a people who offer the hope that is found in an unchanging Person and an unshakable Kingdom – revealing a God who can be known even as we are known.